The best tennis player in the world continued his amazing season by winning the last grand slam of the year for the second time in his career, his third slam of the year. 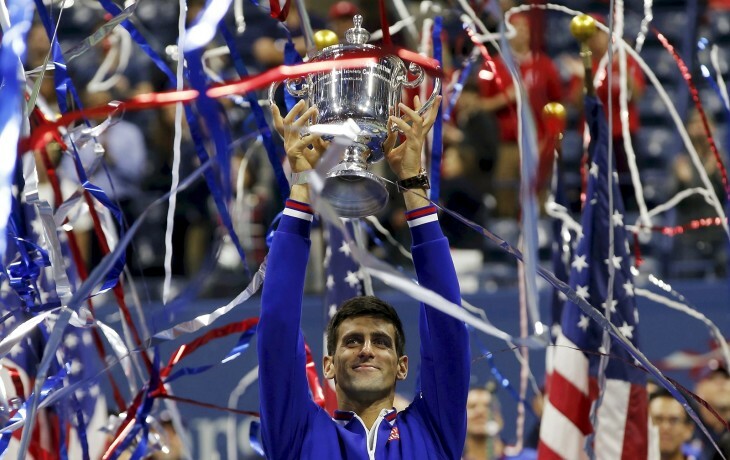 Novak Djokovic held off Roger Federer in four sets, 6-4, 5-7, 6-4, 6-4 to triumph in New York once again. The Serbian was able to absorb almost everything the Swiss threw at him and won the critical points when it mattered the most. In my preview, I wrote Federer had to bring his A+ game to beat Djokovic. He didn’t. I said he had to get all the free points he could on his serve. He couldn’t. I emphasised that Federer simply couldn’t afford to waste any break point opportunities. But that is exactly what he did. Federer was able to convert a mere 4 break point chances from a total of 23 generated! This was where the final was lost for Federer. His return of serve stats was as good as Djokovic’s, widely regarded as the best returner on the planet today. Yet, he couldn’t win the crucial points that he really needed to and that in his own words was a bummer. I don’t have much more to say on the match other than congratulating Novak Djokovic on a spectacular year. He stayed firm and ground down the Swiss Maestro over four sets. For all the great form Federer displayed in getting to the final, Djokovic proved he is unlike anybody else on the tour. And that is exactly what being the best player on the tour is all about. That French Open final almost feels like an aberration now. I do have a bone to pick with the scheduling though. If they knew it was going to rain around the time the match was originally scheduled to begin, then why not change the schedule? I know there are logistics involved but still, come on, man! 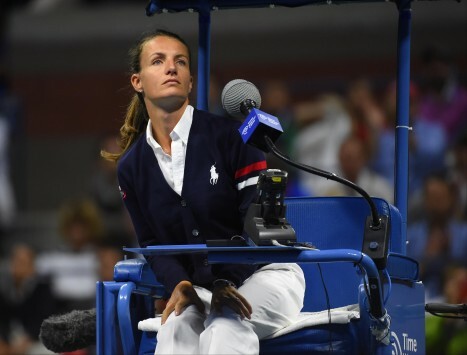 A small shout out to chair umpire Eva Asderaki-Moore who became the first female chair umpire to preside over a men’s final. And she did a perfect job as well, over ruling several wrong calls from the lines people. Finally, one last word to Federer: Just 4 out of 23!! Why man, why??!! Why are you doing this to us??!!! This entry was posted in Tennis and tagged chair umpire, Djokovic, Eva Asderaki, Federer, Grand Slam, New York, SABR, Serb, Serbian, Swiss, Switzerland, tennis, US Open, Wimbledon. Bookmark the permalink.